Article 1: The Office of the Press, Paper and Parchment is an Office of the Pontifical Chancellery, a Congregation of the Holy Aristotelian and Roman Church. 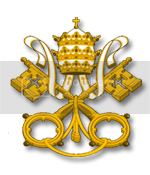 Article 2: A Prefect is appointed at the head of the Office by the Congregational Cardinals of the Pontifical Chancellery, to ensure its correct management. Article 3 : The Office has the objective to ensure the communication of religious news to the greatest number of non-believers, believers and faithfuls in the known world. Article 4 : The role of the Office is to inform the faithful of all linguistic areas of the major events that take place in Rome. 4. The Journalists, divided by linguistic zone under the Vice-Prefects. Article 6 : The articles, prior to publication, must be reviewed by the appropriate Linguistic Editor and approved by one of the Editors-in-Chief or directly by the Congregational Cardinals. The latter, by their prerogatives, may prevent the publication. Article 7 : Each of the Linguistic Editors will have the task of publishing, in their local or In Gratibus press, the articles they have drafted and/or revised. Article 8 : All articles must be validated by at least one of the Editors-in-Chief. If necessary, the article will be available in two languages ​​for the purpose of validation and of a broad publication, in English and in the Journalist's preferred local language. Article 9 : Any member of the Office shall be held to the strictest rules of confidentiality concerning the debates which may take place within the Office, under penalty of sanctions ranging from a warning to a dismissal. Article 10 : Anyone who is baptized may become a Journalist. To become Vice-Prefect (Linguistic Editor), the ordained candidates will be favored. Candidates will be asked to write a written test to assess their ability to redact an article. 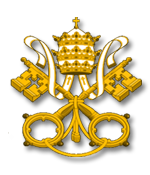 Article 11 : Only the Congregational Cardinals, as well as the Prefect and General Vice-Prefect, are entitled to recruit. Given and approved in Rome by the Sacred College during the pontificate of the Holy Father Innocent VIII, the fifth day of the month of June, a Monday, in the Year of our Lord MCDLXV. 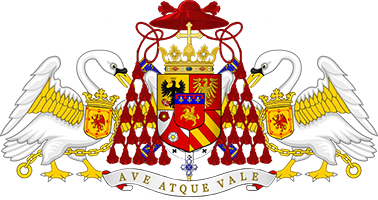 Published by His Eminence Éminence Arnarion de Valyria-Borgia, Archchancellor of the Apostolic See, the sixth day of the month of June, the Tuesday, in the Year of our Lord MCDLXV.